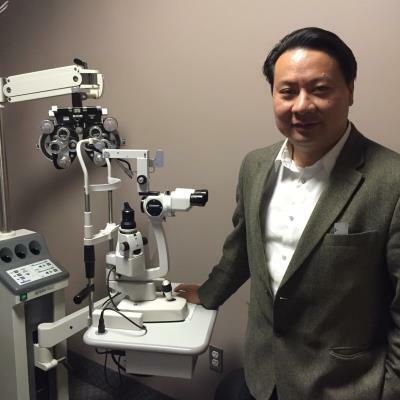 Dr. Khuong Nguyen graduated from The New England College of Optometry in 2003 and Worcester Polytechnic Institute in 1995 with a Bachelor of Science in Biochemistry. ​Dr. Nguyen is experienced in fields of Pediatric and Adult Optometry, Ocular Disease, and Contact Lenses. He specializes in Keratoconus Treatment and Corneal Refractive Therapy. Dr. Nguyen worked at Dana Farber Cancer Institute for 4 years in the research field of Hematology Oncology. He had also done research on Multiple Sclerosis in the Neurology Department at Harvard Medical School and Macular Degeneration at Tufts University. Dr. Nguyen's clinical trainings include Ophthalmic Consultants of Connecticut (Retina, Neuro, Corneal, and Refractive Services), New England Eye Institute (Low Vision at Greater Aid for the Blind, Pediatric at Perkins School for the Blind), Worcester VA Hospital(Glaucoma, Diabetes, Cataracts, and varies ocular disease management), and Upham's Corner Health Center. Dr. Daniel G. Sullivan graduated from The New England College of Optometry in 2006 and Villanova University in 2000. Dr. Sullivan is experienced in aspects of Pediatric and Adult Optometry, Contact Lenses, and Ocular Disease.